A few weeks ago I received an invitation from a Vanderbilt University student to lead an hour long meditation workshop designed to coincide with the opening of their Zen Garden. The new garden is just outside of the Office of Religious Studies on campus. I accepted the invite even though it was short notice, and I’m very glad I did. It was an inspiring hour and I believe what I experienced bodes well for the future of Buddhist meditation in this country. 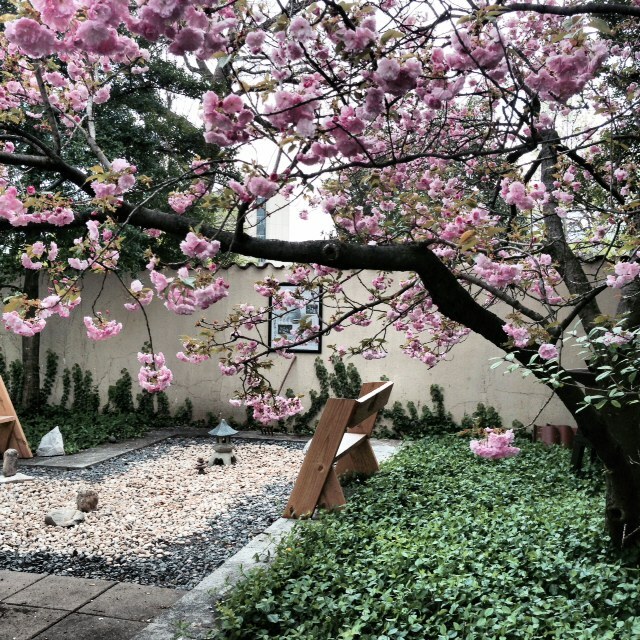 At the Zen Garden, a cherry tree was in full bloom, a perfect compliment to the serene and simple garden. We started with a dedication and went inside for a 20 minute guided meditation. The organizer had set up a Facebook event for the workshop not long before and 60 people RSVP’d. She was concerned that there wouldn’t be enough room and hoped closer to 20 would show up instead! As we gathered to meditate, about forty people joined in the circle. We all fit at close quarters without a problem. From the silence and stillness in the room, I could tell that many of the students had meditation experience. After the meditation we had refreshments and an open discussion. I was truly inspired by the quality and depth of the questions. Meditation wasn’t a passing curiosity for many of these students. Their interest went beyond stress reduction or secular mindfulness; they wanted to know more about Buddhist mediation and how to deepen their practice, which most had already started. What inspired me the most is that a number of the students were clearly looking beyond the benefits they would personally accrue through meditation. They were interested in how the practice can help alleviate suffering for humanity as a whole. This is truly a wonderful intention that can be realized directly; our practice will ripple outward and positively impact those near and far. May many of these students become life long meditators and help bring the dharma to future generations. This entry was posted in Essays and Articles, Retreats and Events and tagged buddhist community of vanderbilt, Lisa Ernst, Meditation, meditation workshop, Mindfuness, Office of Religious Life, One Dharma Nashville, vanderbilt, vanderbilt university, Vipassana, Zen, zen garden by Lyn. Bookmark the permalink.